For years I never really enjoyed shopping because I didn’t know how. I would buy items randomly that appealed to me just to find them unworn in my closet because I didn’t find a way to combine them. My clothing usually circled around 10-15 similar outfits I would wear over and over. I also didn’t see much sense in constantly running after the latest fashion and spend money on items I would discharge still in a useful and good condition for the next season. Going shopping with Elke was a very pleasant and uplifting experience. Her friendly and kind personality washed my nervousness away and replaced it with excitement. While we were looking and picking different items I learned a lot about my body type and which style, colors, patterns forms and fabrics are bringing out and showing the best of me. I also learned how to build a wardrobe that can last and be used in multifunctional ways. The experience with Elke was more to me than just having some more outfits in my closet to wear now. It started a whole process the next day which is still going on in the back of my mind every time it comes to clothing. I came to realize there is more to how we dress than just ‘looking good’ and the general idea which image we want to give etc. Deeper questions bubbled to the surface scratching topics like ‘self-value’, ‘transformation’, and ‘overcoming fear of showing myself outside’. Today I view the harmony we show in covering our bodies with cloth as a reflection of the harmony we carry inside. I am grateful to have met Elke and having the ability to experience her compassionate and loving work in supporting women to ‘stand tall in their right shoes’! 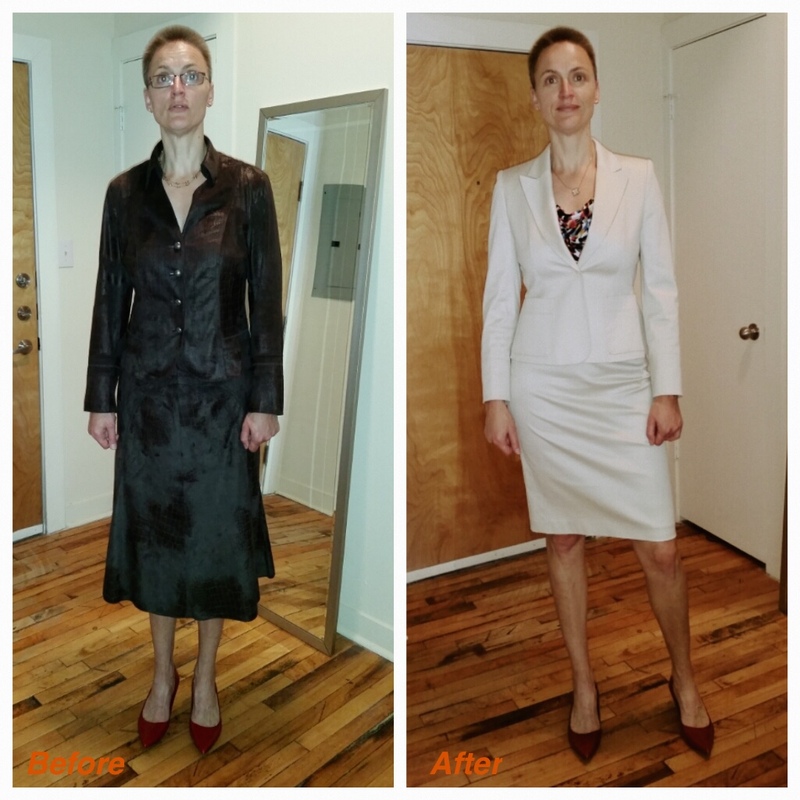 “For a long time I was in denial about my need for a wardrobe overhaul, so I was really pleased to reconnect with Elke and find out that she was helping people out with their image. It was a real eye opener going through my wadrobe. I knew it wasn’t great, but I didn’t realize just how bad and unflattering most of the things I was wearing were. It really helped to review in more detail different styles that would be more suitable to help to show my assests and mimize my ‘challenging’ areas. I had a lot of fun going shopping with Elke, as she was able to find pieces that I actually liked that I would never have thought to consider.